Even if you’d had the foresight to book a table at the world’s best restaurant 11 months ago, you’d never have imagined that an Argentine sommelier might be serving you this month. 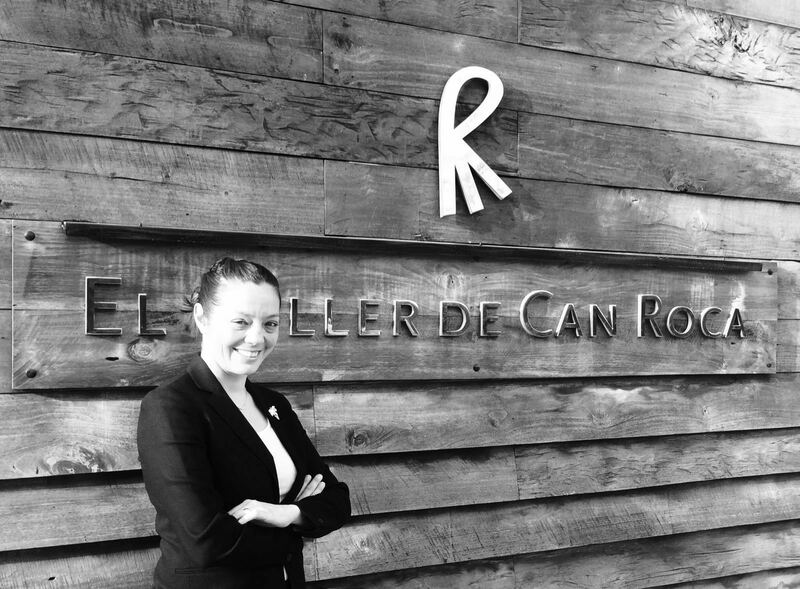 Usually found at San Telmo’s El Baqueano, which she co-owns with chef Fernando Rivarola and ranks 15th in Latin America’s Best Restaurants list 2015, Gabriela Lafuente also never imagined she’d secure a work placement at ultra-prestigious El Celler de Can Roca in Girona. But thanks to her diligence and desire to learn, the Roca brothers opened their doors to her – and she’s just completed week one of a six-week stint. Sommelier Gabriela Lafuente at El Celler de Can Roca. Leaving your business for a month and a half is no easy decision to take, but the experience as both a sommelier and restaurateur she’s set to garner working at the world’s best, with the world’s best, is clearly invaluable. She tells me about the placement and her first week in Cataluña with Joan, Josep and Jordi Roca. Gabriela says: “The first time I met [chef] Joan Roca was at Ñam food festival in 2013 when Fernando and I went to Chile. Alex Atala [from D.O.M. in Sao Paulo] introduced us all and that was the first time Alex suggested I undertook a work placement at El Celler, to which Joan Roca replied ‘yes, of course’. We crossed paths various times, at the LatAm Best Restaurant awards later that year then at Latitud Cero in Ecuador, but I never met Josep, also known as Pitu, who’s the sommelier. It’s already been a dream seven days for Gabriela, who previously undertook a similar educational mission at Alex Atala’s D.O.M. to improve her wine and service knowledge. With the rest of the Celler team, she visited three wine fairs on her first weekend off in Rhône Valley and is currently in the Loire Valley, just some of the perks of working for the Roca family who like to firther their staff’s education. But she was also thrilled to be placed in service on her third day. She says: “I was very nervous and anxious when I opened that door for the first time, and adrelanine rushed through me because I want to learn so much. It’s a place where you live and breathe education, and everything has its time and place so that the diner has the best experience. “I arrived last Tuesday, on Wednesday I was in the salon doing a double shift, then by Thursday I had one or two tables to look after, assisting one of the four sommeliers with pairings. How all her experiences accumulated at the world’s best restaurant will influence matters at Argentina’s second-best restaurant remain to be seen. But influence matters, they certainly will. she rocks. a joy to be served by.